Space Dust Racers always felt like a working title to us. It wasn’t particularly descriptive of the core gameplay, and was a little longwinded to say. 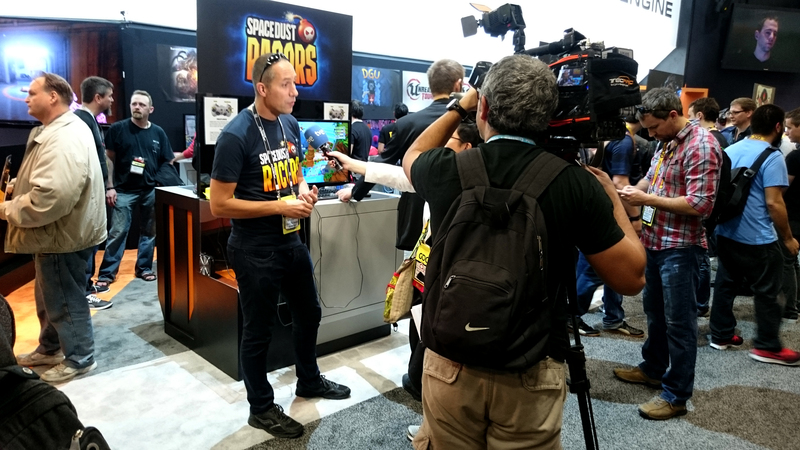 From our very first public appearance at GDC 2014, we’d had chats about finding a better name, but it was always something to be swept away for a later date… we had more important things to worry about after all, like building the game! But one dark and stormy night, Grigor burned the midnight oil flipping through a thesaurus trying to lock in on what it was that made our combat racing game great. At 3am he cried aloud “EUREKA!”… then profusely apologized to his wife for waking the baby. 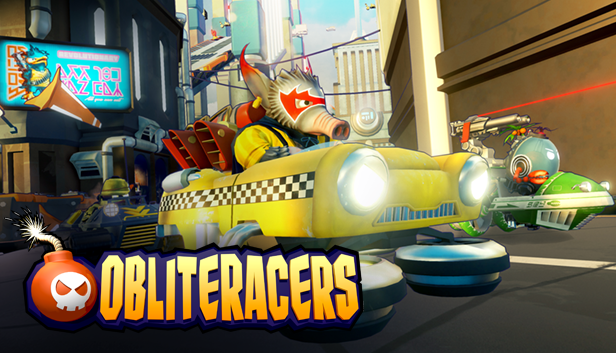 We’re sure you’ll agree Obliteracers is much more on point for the combat-oriented gameplay we’re going for… we’re as much about the destruction as we are about the speed! We have a lot more to talk about over the next few months as we wind up for our PC release. You can help us out by letting your friends know about the game, and if you haven’t already, follow our Steam store page so you’re notified when you can buy the game. Or don’t, I don’t care, I’m not your dad. PS. Remember when we said we were doing early access? So yeah, about that. After a bunch of long talky meetings with lots of doodling on notepads, we kinda decided not to do that and just release instead. The reason is because we want your first experience with Obliteracers to be super awesome and slick and polished and amazing, and early access just wasn’t going to give us that experience. Call us traditionalists. So thanks for your understanding.